The Index continues moving towards new maximums. 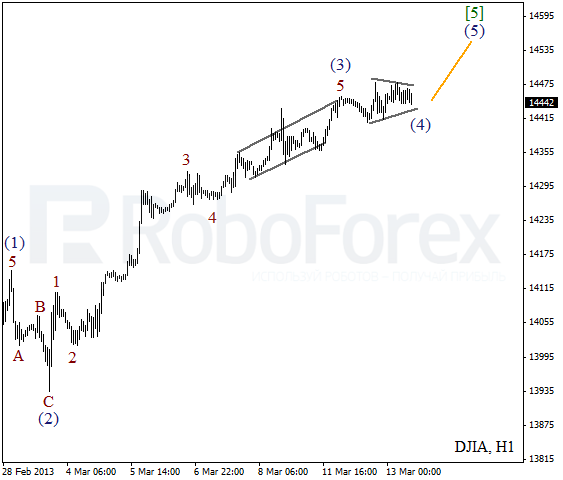 Earlier the price completed wave  in the form of divergent horizontal triangle pattern. The instrument may continue growing up during the day. 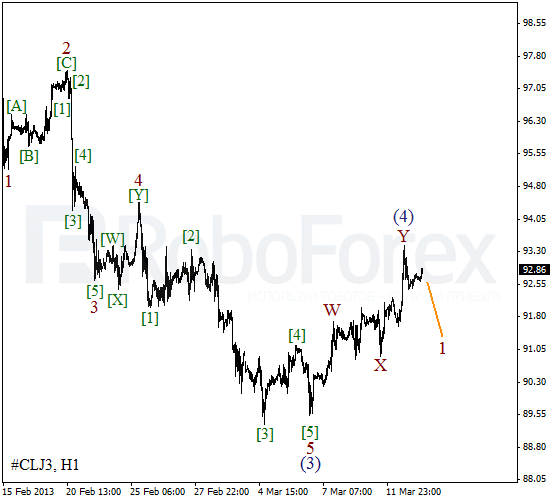 We may assume that Oil finished the fourth wave. Several days ago wave 5 of (3) was completed a bit short. During the next several hours the instrument may start moving downwards inside the fifth wave. 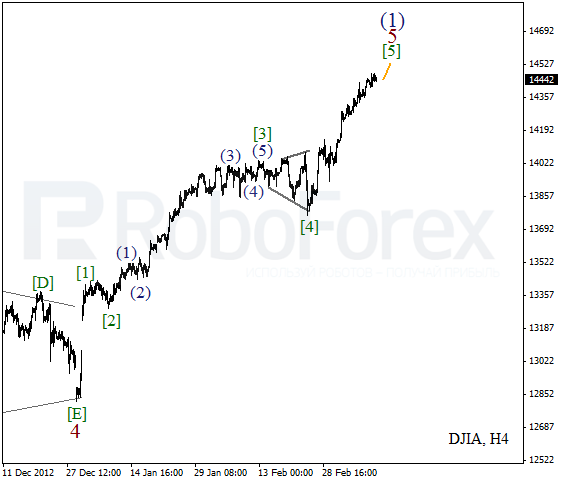 The fourth wave took the form of zigzag pattern. 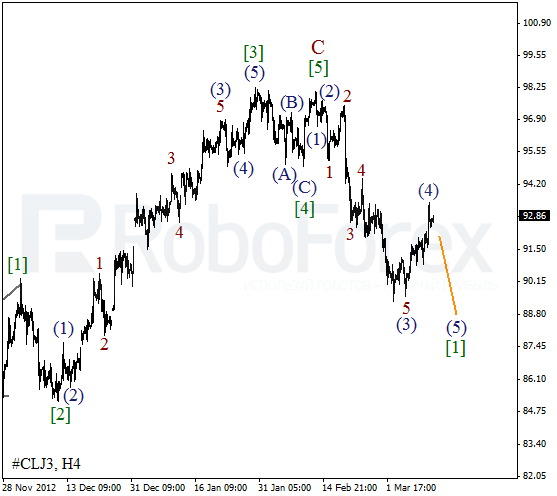 On the minor wave level Oil is starting an initial descending wave. During the day the price may start a new descending movement. The first target for the bears is at the level of $91 per barrel of Light Sweet.